Robert Kazinsky, cast as one of the 13 dwarves, Fili, takes some time to answer random questions put to him by children. Here are a few of them that deal with the Lord of the Rings and its prequel, The Hobbit. Is the Hobbit going to be as good as the other Lord of the Rings films? It’s going to be better. Is being in The Hobbit exciting for you? It’s the best thing that’s ever happened to me, everyday I wake up super excited. How many of the Lord of the Rings books have you read? Who is your favourite actor in the original trilogy? Elijah Wood was perfect as Frodo Baggins. What did you do the moment you found out you were in the Hobbit? I called my parents and told them, then I called my girlfriend at the time and told her, then I sat with my dog, the two of us alone on my balcony in Los Angeles and as the sun set, I cried with happiness. 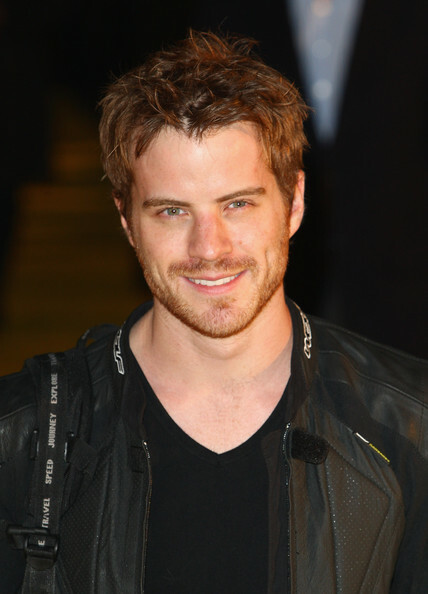 Robert Kazinsky (born Robert John Appleby; 18 November 1983) is an English model and actor. He is best known for his appearance as Casper Rose in Sky One drama Dream Team in 2005/2006 and Sean Slater in the BBC One soap opera EastEnders from 2006 to 2009. Kazinsky was born in Haywards Heath, West Sussex, England. He was educated at Hove Park School in Hove, from 1995-2000. As a student, Kazinsky was expelled from both Hove Park School and later, his college. He appeared in their productions of Bugsy Malone and A Midsummer Night’s Dream. He achieved a grade B in his drama GCSE in 2000. Kazinsky was schooled as an actor at the Guildford School of Acting from September 2002 to July 2005. During this time, he took his grandfather’s middle name as his stage name. He has appeared in several Israeli television commercials and made his acting debut in 2005 when he had a guest role in an episode of the CBBC children’s show The Basil Brush Show, playing a character named Sven Garley. He then got a role in Sky One’s football drama Dream Team where he played Casper Rose from late 2005 until 2006, when he was killed off towards the end of the ninth series after Kazinsky announced his intention to leave. In 2008, Kazinsky announced that he would not be pursuing a career in Hollywood but would instead begin an apprenticeship as a mechanic when he left the popular soap opera, “EastEnders”, saying: ‘With the writers’ strike and the newly confirmed actors’ strike, it’s not the best time to go (to the US ). Kazinsky was featured as the presenter in the EastEnders launch video since they had launched their new video channel on Youtube.